Our Sun may live a pretty lonesome life nowadays, but when it was born some 4.6 billion years ago, it was the middle child in a family of thousands. All of these siblings have since spread throughout the galaxy, which makes it hard to identify them. 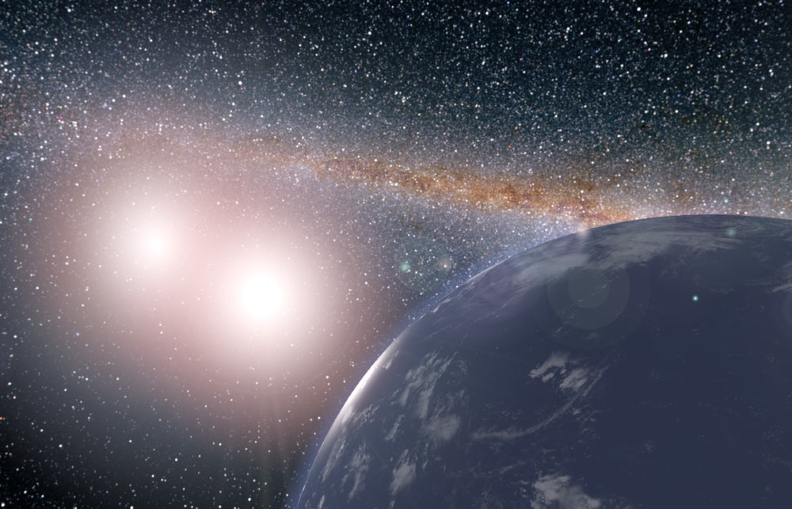 But now astronomers in Portugal have found not just a solar sibling but a “twin,” more or less identical to the Sun, meaning it’s a great place to look for extraterrestrial life. The search for the Sun’s siblings has been ongoing for decades. In the 1980s it was hypothesized that our star had an “evil twin” named Nemesis, which got its bad rap from its apparent habit of swinging past the solar system every 26 million years or so and sending a cloud of comets hurtling our way. This was put forward to explain the cycle of mass extinctions from impact events. Although years of sky surveys have turned up no trace of Nemesis, there’s plenty of evidence that our Sun was far from an only child. Finding these long-lost siblings could give us an insight into the birth of stars, as well as the likelihood of life across the universe. “Since there isn’t much information about the Sun’s past, studying these stars can help us understand where in the Galaxy and under which conditions the Sun was formed,” says Vardan Adibekyan, lead researcher on the study. To find solar siblings among the countless other stars in our galaxy, the researchers sifted through AMBRE, a vast database of the spectra of thousands of nearby stars. That data tells astronomers about the chemical composition and age of those stars, and the team can then cross-examine them with data on their motion from the Gaia survey, to find those that most closely match the Sun. From the initial 17,000 stars categorized in AMBRE, the team picked out the 55 that had the most Sun-like metal levels. Next, they studied the chemical abundances of certain elements, and narrowed the list down to 12 candidates. This was then whittled down to four that were closest to the Sun in age, and after measuring the carbon isotopic ratios the team arrived at just one. Named HD 186302, this star is not just a solar sibling, it’s a solar twin, practically identical to the Sun in terms of mass, age, metallicity, chemical abundance and carbon isotope ratios. It’s a G3 type main sequence star that sits about 184 light-years from Earth. It’s not the first direct Sun sibling to be identified – that honor belongs to HD 162826 – but it is the closest match ever found. If HD 186302 is almost identical to the Sun, it begs the question of whether life might have also developed in that system. For now we don’t yet know if the star hosts any planets, but the team plans to start looking in the future. There’s a chance that the building blocks of life might have spread to these planets or asteroids back when they were our neighbors, and if the conditions were as favorable as they are here life could have arisen. The research was published in the journal Astronomy & Astrophysics.